Get ready for Winter in your garden with this awesome, free workshop! All welcome but please book! 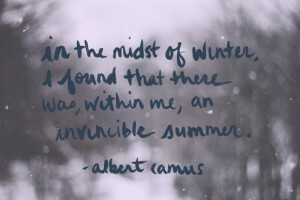 Celebrate the midwinter and revel in the knowledge that the planet begins its trek back towards warmth and longer days. Solstice signifies a unique annual cycle for many cultures around the world - in the garden world it means the garlic should have been planted by this date; the last succession of peas and broadbeans may have gone in the ground and around this time we get to start thinking about the beginnings of spring - start sorting your tomato seeds out!! What ever your leaning, its a great time of year for reflecting in the winter dark and shining our rays of internal light, warmth and kindness towards the earth and others. 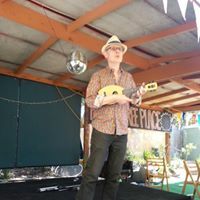 Catch this fine musician here at Peppertree Place again - we love hearing Uke Ewie, he's one of our favourites. This is a special invitation to Moreland food businesses, cafes, restaurants, pubs, food manufacturers and producers. Reducing C02 in Food Establishments in Moreland. 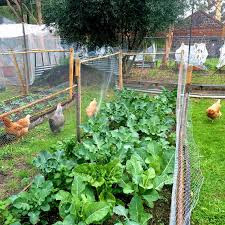 You may be surprised to learn that Australia's food production, preparation and delivery system is the second largest emitter of greenhouses gases. Australian businesses generate over 12.5 million tonnes of waste each year, almost half of which ends in landfill. Food waste is one of the largest types of commercial waste and more food businesses are helping to combat this environmental issue. As a community with strong sustainability goals, Moreland City Council have been working together with Moreland Energy Foundation (MEFL) to improve ways in which waste material is managed. 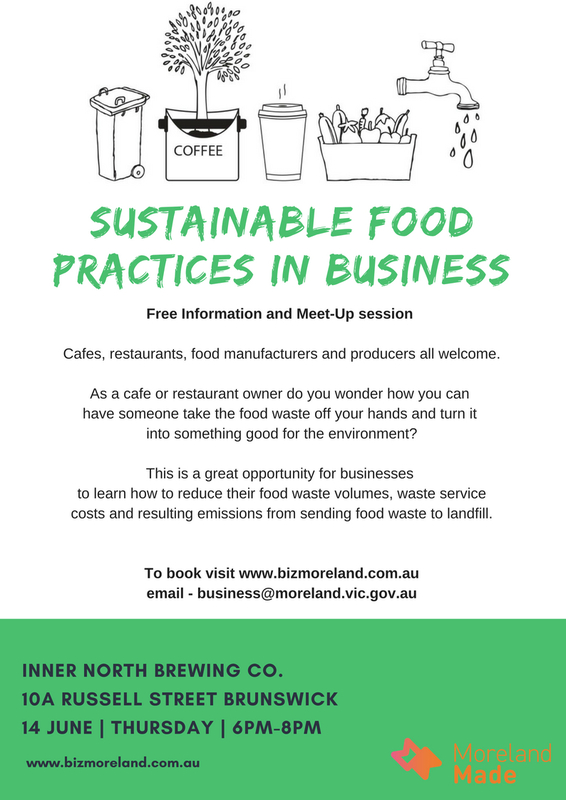 This meet up is free and open to all food establishment owners and employees in Moreland. 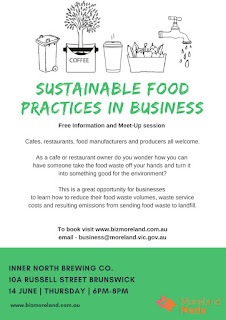 This is a great opportunity to meet other food business owners, share new ideas, hear from other Moreland businesses and learn about opportunities that work for change and make a difference in building a sustainable Moreland business community. Hear from Reground a small but fast growing, start-up company that has spent the past couple of years developing and building a recycling collection service for spent coffee grounds. 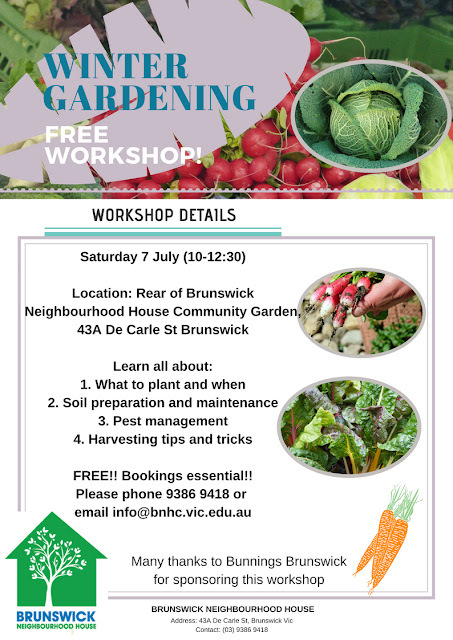 Reground will also talk about their project with Moreland City Council and Moreland cafes: Moreland Ground Coffee Recycling. Please share this event with your networks. Inner North Brewing Co., our venue for the event, is a local brewery in Brunswick that is dedicated to helping out the SEEDS communal garden at Malprinka with their spent grain, which is a valuable ingredient for their compost. Places are limited as to venue capacity. Limited street parking is available. We encourage all attendees to take public transport or car pool.